Barça have continued to express their solidarity with Brazilian club Chapecoense, the victims of the terrible air tragedy in Colombia late last year. 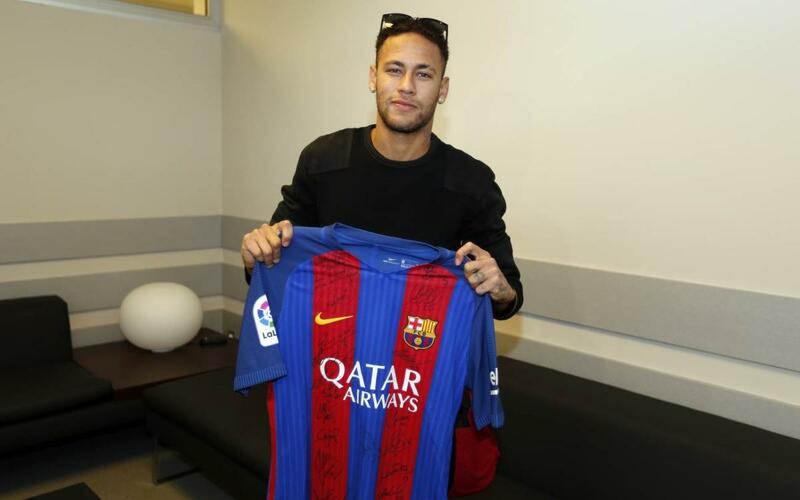 The first team players have all signed shirt, with a special dedication from Brazil’s number one player, Neymar Jr. The gesture forms part of a project being organised by sports daily Marca, whereby all twenty Liga clubs will be sending signed shirts for display in the Chapecoense museum, to be opened shortly. This is just the latest of several shows of support at the Catalan club. Barça have already invited Chapecoense to be the guest visitors at the Joan Gamper Trophy match at the start of next season. As well as honouring the players and coaches that died on November 28 as the team was heading to Medellín to context the first leg of the Copa Sudamericana Final, Barça is also keen to assist the Brazilian club to rebuild itself in both a sporting and institutional sense.